Misconceptions have always spread easily through the world and the Internet has only helped to make them spread even more quickly. Luckily teams, like the great people at GeekWrapped, have been fighting the good fight against these myths. GeekWrapped has released a cute and an extremely accurate infographic of the 100 common myths and misconceptions debunked. 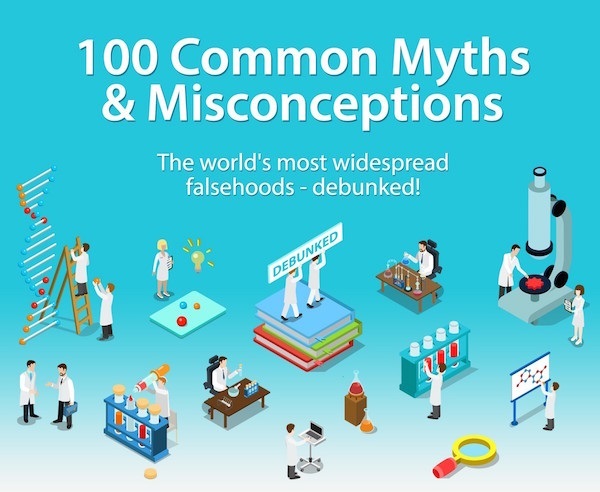 From the human body to food, to science, to history, the infographic masterfully delivers short explanations on each of the 100 myths collected.